Kappa Delta Psi inducted two new members this past December, Charlie Schmidt and Scott Ramage, who worked diligently on their house project of remodeling the third floor. Kappa Delta Psi's current members would like to send out a big thank you to all of the alumni who contributed to this project. Additional pictures are available in the photo gallery for the before and after results. Kappa Delta Psi dominated the homecoming flag football tournament this weekend allowing no points against in its first three games and handed Sigma Tau Gamma a sound defeat, only allowing 8 points and scoring at least 40 points to secure the trophy. Also in stunning fashion, da boys managed to secure the tug of war title with little exertion. Eight brothers contributed to Little Brothers - Friends of the Elderly this Sunday chopping and delivery wood to local elderly individuals. The total amount of service contributed amounted to 32 hours. Over the recent years, the brothers of the house noticed that the front entrance to the house was looking a bit out of shape. What once was a beautiful display of brickwork was slowly turning into a slanted pile of mortar and rock. Due to over 100 years of settling landscape, the brick pillars on either side of the front stairs were beginning to fall apart. Thanks to David Courtney's (Alum 1960) generous donation, the bricks have been remortared and placed. Take a look at the before and after shots to see the wonderful work that was done. 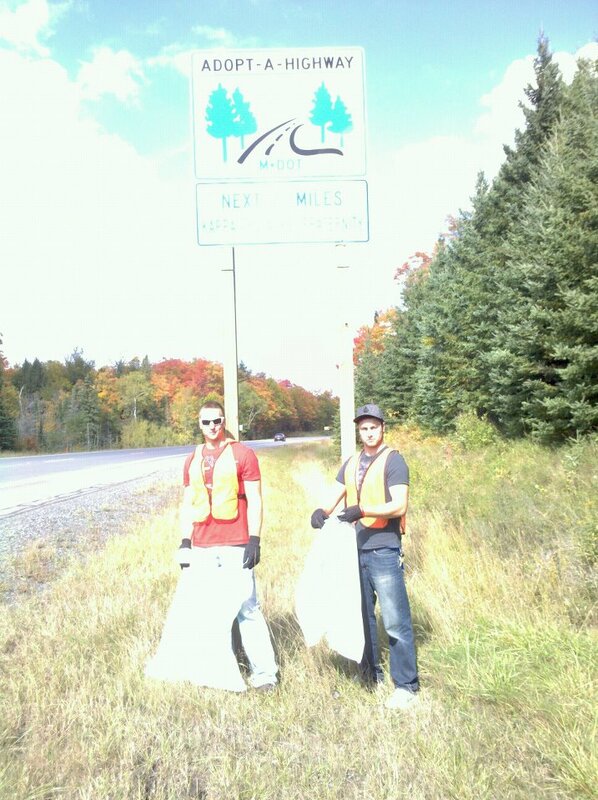 Members of Kappa Delta Psi participated in Highway Cleanup along US-41 for the annual fall cleanup effort. Total membership service to the project amounted to over 30 hours. 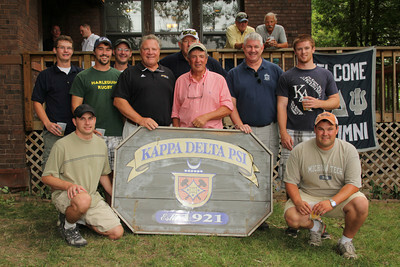 Thanks to all members and alumni who were able to make it to the 90th Kappa Delta Psi Reunion. It was a memorable experience which reunited many friends from many decades. Also, thanks for any donations made to help continue the traditions of Kappa Delta Psi. Without these donations, our house would not be what it has become today. Thank You. 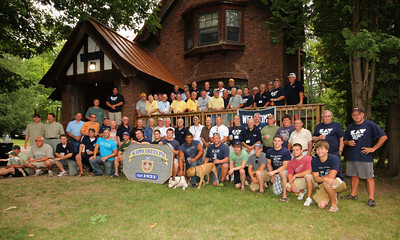 A collection of past and present presidents at the 90th reunion. Starting Every Monday @ Game Time. © Copyright 2004-2011 Kappa Delta Psi. All Rights Reserved.